Anti static sticky labels are a useful packaging accessory when shipping or storing parcels containing electronic, camera and computer components or other items that are sensitive to electricity. These warning labels, in three languages plus ESD symbol, are printed in clear and bright high resolution non-fade colour, so there’s no doubt for extra care required in handling and opening the package. They are durable peel and stick self adhesive labels on a roll and can be used manually by hand or with a label dispenser. Our anti static sticky labels are the quick and easy labelling solution. 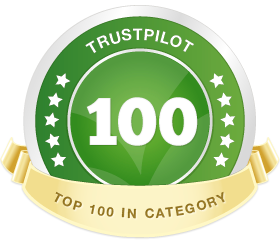 Our anti static sticky labels come in economical rolls of 1,000. They are printed in high resolution black on a yellow background and measure 80mm x 32mm. They can be used manually or with an automatic label dispenser – ideal for high volume packaging. 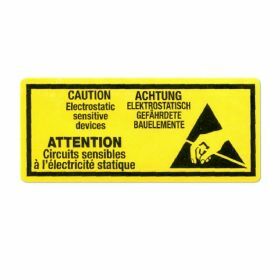 The words CAUTION ELECTROSTATIC SENSITIVE DEVICES are additionally printed in German and French. They are accompanied by an attention-grabbing electrostatic warning symbol to alert handlers that contents of the package are sensitive electronic parts that can be damaged by discharge upon opening and therefore proper grounding techniques should be used. Placed on the outside of the box or packet, our anti static sticky labels form an essential part of your special ESD packaging precautions.